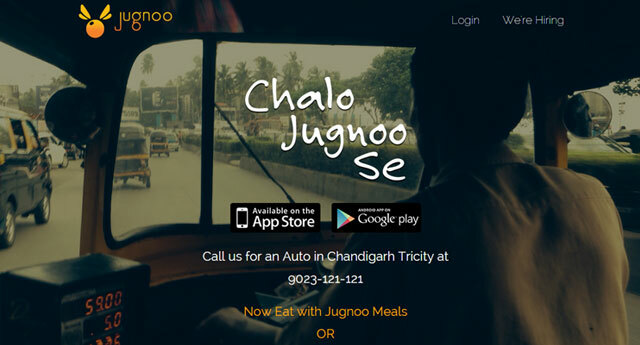 Chandigarh-based SoCoMo Technologies Pvt Ltd, which owns and operates on-demand autorickshaw hailing app Jugnoo (jugnoo.in) and has expanded to add meal and grocery delivery service, has raised $5 million (Rs 32 crore) in a Series A round from Snow Leopard Technology Ventures and Paytm with participation of some existing angel investors, it said on Friday. Jugnoo had raised $1 million from Rajesh Mathur, co-founder of Junglee that was acquired and relaunched by Amazon; Vikas Taneja, partner and managing director of BCG Group; Kirloskar Brothers and others in a seed round early this year. The capital from the fresh investment will be used to expand its geographical presence. Although incorporated 2012, the startup launched its operations last November and currently operates in four cities â€“ Chandigarh, Ludhiana, Amritsar and Jaipur. It was founded by IIT Delhi alumni Samar Singla and Chinmay Aggarwal in November 2014. Jugnoo focuses on three segments—auto booking services, online ordering and home delivery of home cooked meal and groceries. It is in a similar space as Ola, TaxiForSure (now owned by Ola) and Uber which have added autorickshaw to their networks besides cabs. It is banking on an execution play in a vast market which is just coming on to an organised booking platform. Jugnoo's foray into home delivery of meals and grocery is also similar to what Ola has started (not yet launched grocery delivery and primarily focusing on pick-ups from local restaurants). There are also some focused autorickshaw booking ventures such as Unitus Seed Fund-backed mGaadi. Then there is a host of grocery delivery startups such as Grofers and PepperTap besides a bunch of ventures focusing on delivery of home cooked meals. For Snow Leopard Technology Ventures, this is the third known deal having backed imitation jewellery e-tailer Voylla and payment solutions firm LivQuik. Paytm, which is part of One97 Communications, runs a mobile recharge and m-commerce and mobile payments platform. According to a report by The Economic Times citing Jugnoo CEO Singla, the investment from Paytm will lead to a strategic partnership with Paytm using Jugnoo's logistic network to fulfil orders coming on its own hyper-local horizontal marketplace. Singla told the publication that the latest investment is on a pre-money valuation of $30 million and that there are no plans to integrate its digital wallet with the Paytm offering at this point. An email sent to the firm for more details on the future plans did not elicit a response. Jugnoo PayTM Snow Leopard Technology Ventures LLP SoCoMo Technologies Pvt. Ltd.